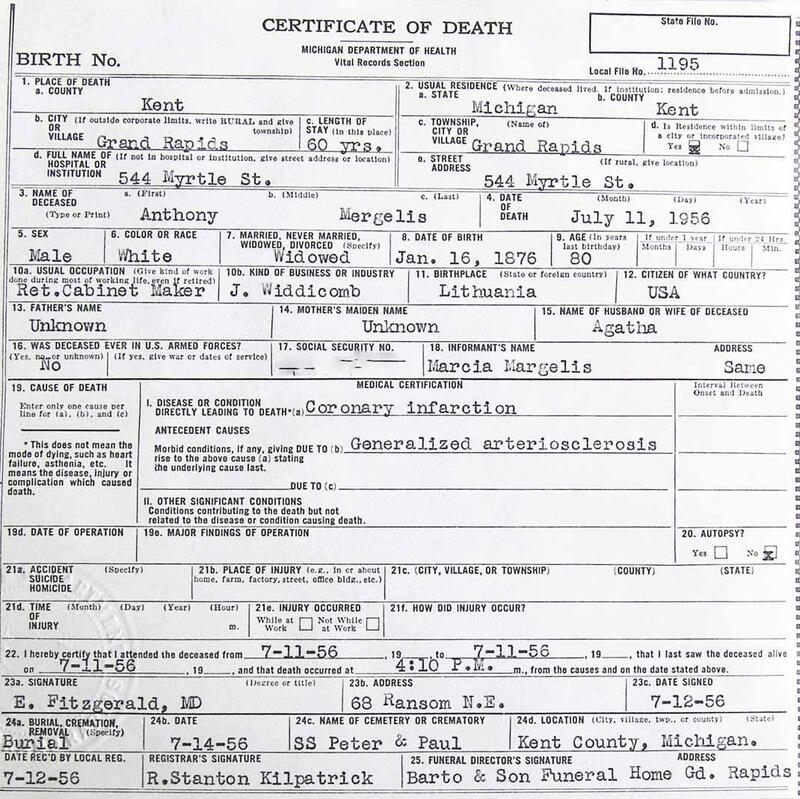 Death certificate issued by Kent County for the death of Anthony Margelis. 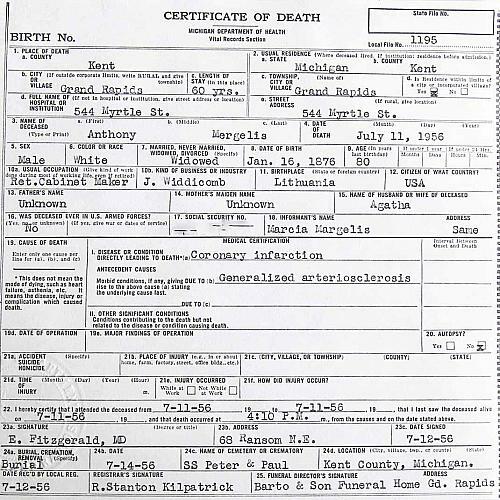 It lists information relevant to the time of his death, his background, and causes of death. The physician , mortuary, and place of burial are also listed. In the left lower corner a portion of the embossed seal can be seen.